W.E. A.L.L. B.E. TV Celebrates Black August 365 Days A Year! W.E. A.L.L. B.E. TV: The Ballad Of Robert Charles & The New Orleans Riot Of 1900. On this 30th anniversary of Black August, first organized to honor our fallen freedom fighters, Jonathan and George Jackson, Khatari Gaulden, James McClain, William Christmas and the sole survivor of the Aug. 7, 1970, Courthouse Slave Rebellion, Ruchell Cinque Magee, it is still a time to embrace the principles of unity, self-sacrifice, political education, physical fitness and/or training in martial arts, resistance and spiritual renewal. The concept, Black August, grew out of the need to expose to the light of day the glorious and heroic deeds of those Afrikan women and men who recognized and struggled against the injustices heaped upon people of color on a daily basis in America. 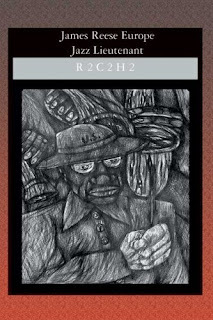 One cannot tell the story of Black August without first providing the reader with a brief glimpse of the “Black Movement” behind California prison walls in the ‘60s, led by George Jackson and W.L. Nolen, among others. When the brothers first demanded the killer guard be tried for murder, they were rebuffed. Upon their insistence, the administration held a kangaroo court and three days later returned a verdict of “justifiable homicide.” Shortly afterward, a white guard was found beaten to death and thrown from a tier. 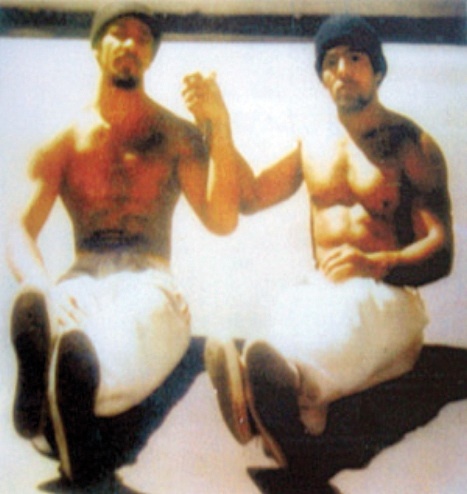 Six days later, three prisoners were accused of murder, and became known as The Soledad Brothers. 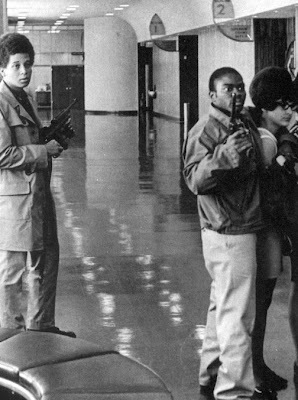 On Aug. 7, 1970, George Jackson’s brother Jonathan, only 17, invaded the Marin County Courthouse alone, planning ultimately to free the Soledad Brothers. “You can take our pictures. We are the revolutionaries!” Jonathan shouted. On Aug. 7, 1970, just a few days after George was transferred to San Quentin, his younger brother Jonathan Jackson, 17, invaded Marin County Courthouse single-handed, with a satchel full of handguns, an assault rifle and a shotgun hidden under his raincoat. 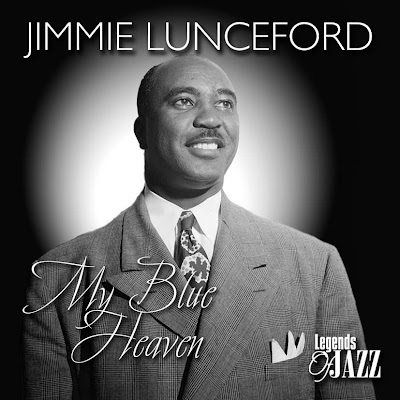 “Freeze,” he commanded as he tossed guns to William Christmas, James McClain and Ruchell Magee. Magee was on the witness stand testifying for McClain, on trial for assaulting a guard in the wake of a guard’s murder of another Black prisoner, Fred Billingsley, beaten and teargased to death. 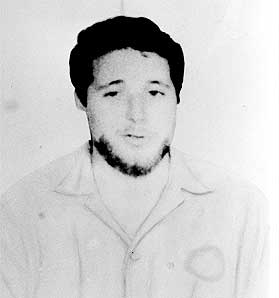 In his second book, “Blood in My Eye,” published posthumously, George Jackson noted: “Reformism is an old story in Amerika. There have been depressions and socio-economic political crises throughout the period that marked the formation of the present upper-class ruling circle and their controlling elites. But the parties of the left were too committed to reformism to exploit their revolutionary potential. … Fascism has temporarily succeeded under the guise of reform.” Those words ring even truer today as we witness a form of fascism that has replaced gas ovens with executions and torture chambers: plantations with prison industrial complexes deployed in rural white communities to perpetuate white supremacy and Black and Brown slavery. The concentration of wealth at the top is worse than ever: One percent now owns more wealth than that of the combined 95 percent of the U.S. population; individuals are so rich their wealth exceeds the total budgets of numerous nations – as they plunder the globe in the quest for more. “The fascist must expand to live. Consequently he has pushed his frontiers to the farthest lands and peoples. … I’m going to bust my heart trying to stop these smug, degenerate, primitive, omnivorous, uncivil – and anyone who would aid me, I embrace you. Khatari Gaulden and Hugo “Yogi” Pinell sit together in the San Quentin yard. 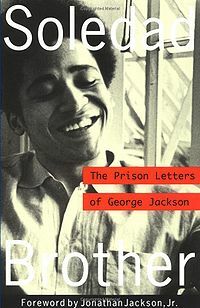 On Aug. 21, 1971, after numerous failed attempts on his life, the state finally succeeded in assassinating George Jackson, then field marshall of the Black Panther Party, in what was described by prison officials as an escape attempt in which Jackson allegedly smuggled a gun into San Quentin in a wig. That feat was proven impossible, and evidence subsequently suggested a setup designed by prison officials to eliminate Jackson once and for all. However, they didn’t count on losing any of their own in the process. On that fateful day, three notoriously racist prison guards and two inmate turnkeys were also killed, presumably by Jackson, who was shot and killed by guards as he drew fire away from the other prisoners in the Adjustment Center (lockup) of San Quentin. Subsequently, six A/C prisoners were singled out and put on trial – wearing 30 pounds of chains in Marin Courthouse – for various charges of murder and assault: Fleeta Drumgo, David Johnson, Hugo L.A. Pinell (Yogi), Luis Talamantez, Johnny Spain and Willie Sundiata Tate. Only one was convicted of murder, Johnny Spain. The others were either acquitted or convicted of assault. Pinell is the only one remaining in prison and has suffered prolonged torture in lockups since 1969. He is currently serving his 19th year in Pelican Bay’s SHU, a torture chamber if ever there was one. A true warrior, Pinell would put his life on the line to defend his fellow captives. Kiilu Nyasha, Black Panther veteran, revolutionary journalist and Bay View columnist, hosts the TV talk show Freedom Is a Constant Struggle every Friday at 7:30 p.m. on SF Live, San Francisco cable channel 76. She can be reached at Kiilu2@sbcglobal.net . 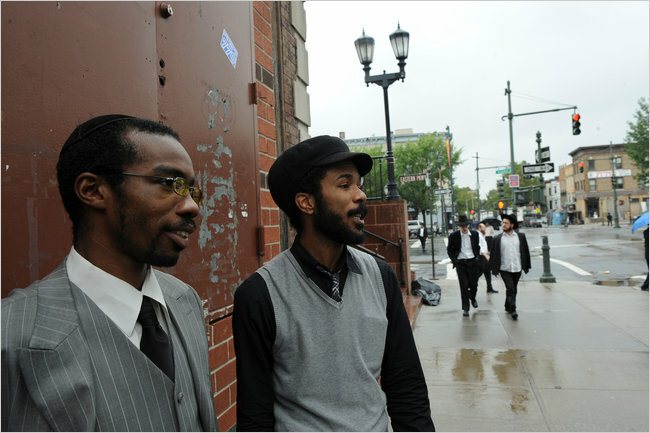 Shais Rison, left, and Yitzchak Jordan are black Orthodox Jews, a rarity in New York and the nation. Akeda Fulcher, a family court advocate who lives in Crown Heights, said that she was a fourth-generation observant black Jew, and that new efforts at multicultural curriculums in Jewish schools helped ease racial tension among the Orthodox. Yitzchak Jordan, a black Orthodox rapper, said he became interested in Judaism as a child in Baltimore, learning from his Puerto Rican grandmother, whose own father had worked for a Jewish family upon moving to the mainland. 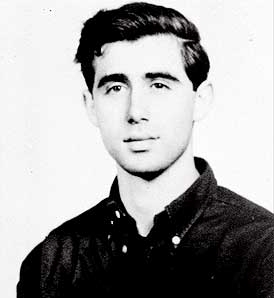 At 14, he started wearing a yarmulke and observing Shabbat. He converted about 10 years ago, and he later studied at a yeshiva in Jerusalem. Walking along Kingston Avenue one afternoon last week with Shais Rison, Mr. Jordan, who is known as both Yitz and Y-Love, was greeted by young white, Orthodox Jews with handshakes and head nods. “I love your music, man!” one told him. In Basil, a new kosher cafe, he beamed between bites of pizza as one of his songs played over the speakers. Mr. Jordan said that he had a large following in Israel that his music had been embraced by a generation of young Jews that feels marginalized. This is hardly true of the Kochs. 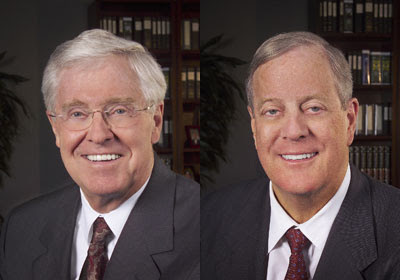 When David Koch ran to the right of Reagan as vice president on the 1980 Libertarian ticket (it polled 1 percent), his campaign called for the abolition not just of Social Security, federal regulatory agencies and welfare but also of the F.B.I., the C.I.A., and public schools — in other words, any government enterprise that would either inhibit his business profits or increase his taxes. He hasn’t changed. As Mayer details, Koch-supported lobbyists, foundations and political operatives are at the center of climate-science denial — a cause that forestalls threats to Koch Industries’ vast fossil fuel business. While Koch foundations donate to cancer hospitals like Memorial Sloan-Kettering in New York, Koch Industries has been lobbying to stop the Environmental Protection Agency from classifying another product important to its bottom line, formaldehyde, as a “known carcinogen” in humans (which it is). John Steele: Where’s Our Mississippi? 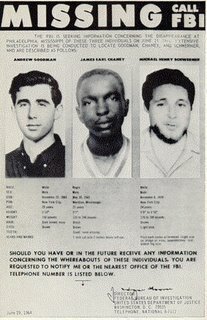 In the summer of 1964, three civil rights workers were murdered in Mississippi. They are known to the world as Goodman, Chaney and Schwerner. But back then, in the days before they died, I knew them as Andy, JE, and Mickey. 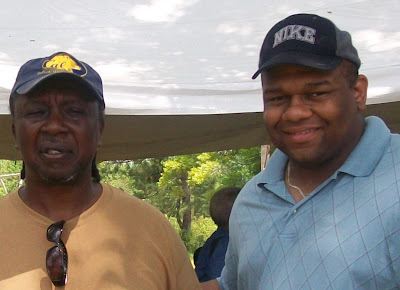 I want to share with you my memories of the time we drove south together to join the Mississippi Freedom Summer project. I want to tell a bit of the story of that summer, and tell it for a purpose. I believe it has implications for today. Mickey was driving as we pulled out of Oxford, Ohio in his station wagon, windows down, through the lush green of early summer. The four of us were volunteers. We were excited. And we felt some fear. We were part of a project to fight white supremacy in Mississippi, where the most basic democratic rights were denied to African American people. We were going to throw ourselves into the front lines of a cause that called itself, simply, the Movement. I had dropped out of college, and didn’t know what I’d do in the long run. 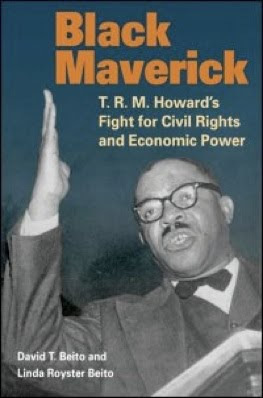 But this battle — black people mounting an intense struggle against an entrenched and clearly evil system – was completely, utterly galvanizing for me. I got my father’s signature (necessary because I was under 21), but we didn’t inform my mother until I was already gone. She was very upset, angry and afraid, when she found out. And of course, she had reason to be upset. 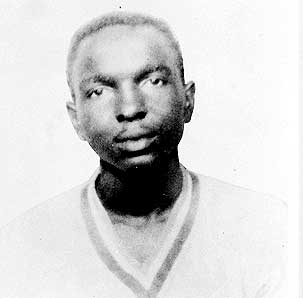 Six black civil rights workers had already been killed in just the first five months of 1964, in the state of Mississippi. There had been no indictments. No charges brought against the killers. Mississippi was a place where African American people were killed with impunity. And often the victims were tortured before the murder, and their bodies often mutilated in horrible ways with gouging and castration. No white person had ever been convicted of killing a Black person in Mississippi. Never. Once our car crossed on into the South, J.E. climbed all the way into the back of the station wagon, to sit by himself, because just having black and white seated side-by-side in our car was dangerous. Our mixed crew risked attention at highway restaurants for the same reason, and so we made the 16-hour trip on snack food. Not that any of us was very hungry. J.E. was just twenty-one, rather quiet, a young black man who had made the decision to step forward in this battle. He was a native of Meridian, the small city in Mississippi we were going to. And he seemed at peace with his decision, although he certainly knew better than any of us exactly what we were facing. Me and the other volunteers knew what we believed in — there was a intense sense of moral justice that carried the Movement through everything it did — but we still had only the vaguest idea of the world we were entering and the forces in America we were going to be challenging. I remember Andy in the car, talkative and inquisitive, questioning Mickey about what to expect. Mickey was a little older (twenty-four) and the leader of our team. With his goatee and energetic assertiveness, he seemed authoritative. But he’d only been in Mississippi six months. He and Chaney were members of CORE (the Congress of Racial Equality) one of the activist groups working together on the summer project. 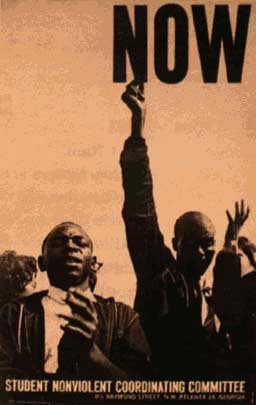 The Student Nonviolent Coordinating Committee (called “snick”) had been formed by participants in the 1960 Nashville sit-ins against whites-only lunch counters. And it had dared to bring the Movement into Mississippi two years later. 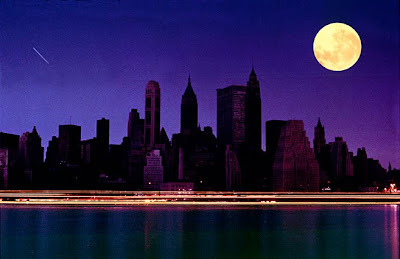 It emerged as one of the most radical, committed and controversial projects in a very conservative America. In those days, the South had been in the grip of Jim Crow segregation, an American apartheid, for almost a hundred years. 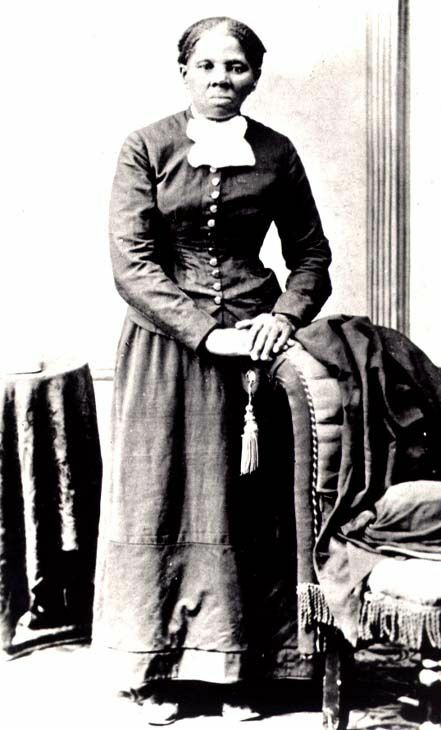 African American people were officially denied basic rights, and forced into separate and inferior conditions – as they were bitterly exploited. 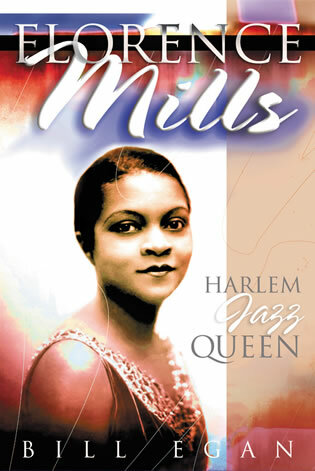 Here in many small rural farming towns of the old cotton economy, many black people were still imprisoned in a dying semi-feudal system of share-cropping and debt that left them brutally poor, uneducated, and increasingly discontent. 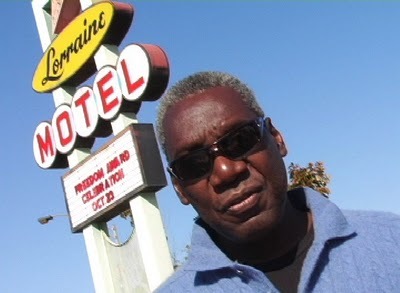 All over the South, African American people were taking on this segregation – led and organized by radical students (as in SNCC and CORE), or returning veterans (like NAACPs Robert Williams) or respected ministers (like the network around Martin Luther King’s Southern Christian Leadership Conference). I’d been aware, excited, seeing this building over several years, watching people face police dogs and fire hoses. But at first only from a distance. Now I’d thrown myself into it. 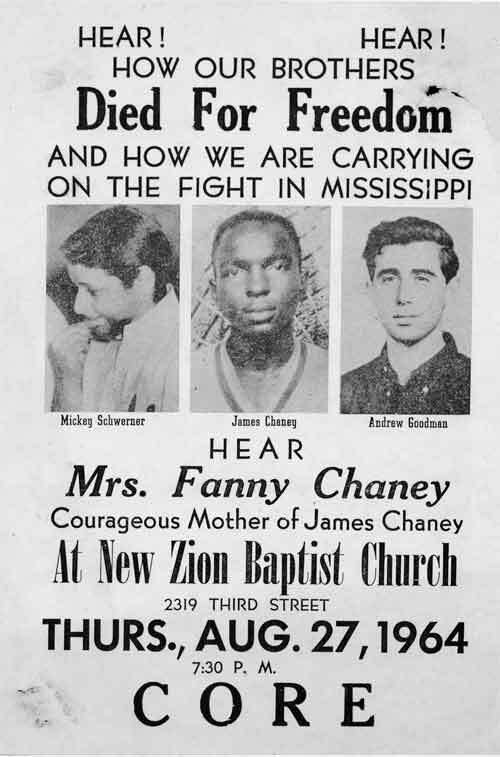 This Mississippi Freedom Summer was about breaching Jim Crow where it was strongest. Hundreds of college students, both black and white, were recruited to make a breakthrough in this most backward, racist and rural of states, to break open this closed and vicious society. It was a movement built by the young. Our team was involved in registering people to vote. Under Jim Crow, African American people were simply not allowed to vote – which meant that the elected sheriffs were brutal racists, and the juries were all white, and the whole power structure was openly defined by white supremacy. Those black people who stepped forward to register were told they had to interpret some obscure section of the Mississippi Constitution (to supposedly prove their literacy), and naturally no matter what they said the racist gatekeepers of the system would say it wasn’t right. But more, just going to the courthouse to register meant you were targeted, in ways that everyone understood and feared. The voter registration during the summer of 1964 was more than just a way of demanding a basic legal right – it was a means of building organization among the people: We were registering people as members of the Mississippi Freedom Democratic Party (MFDP). This was a political organization formed in parallel (and really in sharp opposition to) the regular Mississippi Democratic Party. Mississippi was a one-party state, and the all-white regular Democratic Party was a stronghold of raw, violent, official white supremacy. The new MFDP was a challenge to all that – it was open to both black and white, and it was a political party opposed to segregation and rooted among African American people (who have always been the majority of people in Mississippi). 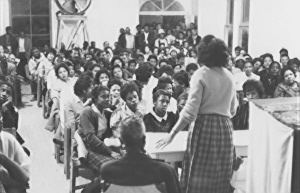 The plan was that MFDP would hold its own state convention, elect delegates to the national 1964 presidential convention of the Democratic Party, and demand seating in place of the delegates of racist regular Democratic Party (who were, quite obviously, representatives and enforcers of this hated Jim Crow system). We drove down the one main street of Meridian into the black section of town, pulling up along some low-rise brick apartments. Local people risked their lives to open their homes to us. The couple I stayed with was young. Another volunteer and I stayed in their small second bedroom – the “kids room” in their plans. 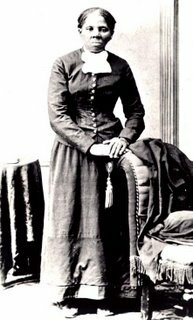 He was a carpenter’s assistant and she worked cleaning the houses of white people. I don’t remember their names. As we pulled up to connect with our contacts, we were a true sensation. “White civil rights workers from the North!” Black teenagers crowded around us, excited, laughing, asking questions. This movement represented the only hope they had, and they knew it. For the white volunteers, the fearlessness of the black people of the South had been our inspiration. And yet, at the same time, the fact that white people were involved was a source of great interest to those living under Jim Crow – it was a witness that people cared what they were going through. It brought a sense of potential allies in the wider world outside Mississippi, and of the possibility that “black and white together” might create a different way of life. Even before leaving Ohio, we’d known we would be arriving in Meridian in the middle of a crisis. A black church had just been burned to the ground, and several of its elders beaten. It was in Philadelphia, a notorious redneck town thirty miles away. Mickey and J.E. had already been talking to people there about using their church as an organizing center for Freedom Summer. This burning was the Klan’s response. And so, as soon as we arrived, Mickey and J.E. immediately decided to take the station wagon to Philadelphia the next day. They asked Andy to come with them. The three left that Sunday morning – planning to return later that afternoon. The rest of us, both volunteers and local teenagers, gathered in the Movement’s community center — a second-floor loft, with desks, phones and a reading library. We hung out, just getting to know each other, while we waited for the three to return. Time passed. They were late. And we began to get nervous. SNCC had security procedures: if anyone was delayed they were supposed to call in — though finding a pay phone on those rural roads was not easy. We had been in Mississippi less than 24 hours and three of us were missing. The afternoon turned into evening and still no word. We went out for a bite to eat. No one wanted to voice our fears. As the evening grew late two cars and a pickup truck, driven by white men, circled our block several times. It was a threat, and we telephoned in their descriptions and license numbers. Some of us spent that night at the center, sleeping on the floor. On Tuesday Mickey’s burned-out station wagon was found. We didn’t talk about it, but we all knew in our hearts that they had probably been killed. We didn’t know it then, but the state government’s spies had gathered names and license plates on all of us that summer — forwarding them to the Ku Klux Klan. State officials visited county sheriffs, briefing them on which laws to use in arresting civil rights workers. But suddenly with the disappearance of our three comrades, the whole world was watching. Reporters poured into the state. There was a tremendous pressure building to find the three missing civil rights workers — and to find out what had happened to them. President Lyndon Johnson (LBJ) ordered the FBI into a highly visible role in the search and investigation Meanwhile, behind the scenes, the same FBI (directed by Attorney General Robert F. Kennedy) was spying on the Civil Rights activists and leaders, and its operatives within the Klan were repeatedly involved in brutal attacks on the Movement. Atlantic City boardwalk, August 1964. Vigil in support of the MFDP challenge to the Democratic Convention. The search for Mickey, J.E. and Andy was massive. Even sailors from a local naval base were brought in to wade through swamps and drag the rivers. But their bodies were not found. What the searchers did discover were the bodies of at least two black men in those rivers and swamps. Mississippi’s governor mobilized the state police to watch, but not to help. They shouted racist jokes as long lines of searchers waded through swampy waters. While all this was going on, we pressed ahead with our work. I was part of a small team that went into the little towns and farms of Lauderdale County. Black and white teams, knocking on doors, we talked to people about the struggle, and invited them to join us. We had big mass meetings every week, gathering everyone possible from the area, to lay plans and to sing freedom songs together. 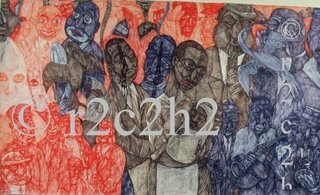 It is hard to capture the atmosphere of hatred and threat that surrounded us – and that had defined the lives of African American people here for since the creation of the plantations. We were portrayed as despicable, dirty, unwashed “n*gger lovers” who had come to Mississippi to destroy a beloved way of life, like new invaders from the North, under the direction of “godless communists” – and often as twisted degenerates determined to expose “white Christian Southern womanhood” to the dangers of “black rapists” and race-mixing. In one situation, I went with a group of us to order food at a restaurant in the bus station. It had been forbidden for black and white to sit together and eat. The old and strictly enforced rules forbade black people from using the same washrooms and lunch counters as white people. And so we were just going to challenge all that. A group of white teenagers pulled into the restaurant booth next to us, and the hostility escalated – first taunts, then spitting, then threats. And everyone understood, of course, that their actions would be completely backed by the local sheriffs and the Klan (who were often the same people). In another situation, I was walking with one of my black comrades and a car started tailing us – driving very slowly behind us in an obviously threatening way. Just the two of us, walking together, was seen as a challenge to everything about this society. We tried to act like we were ignoring him. But then as we started crossing an intersection, he accelerated rapidly and tried to run us down. Multiply these incidents a hundred times, and you get a sense of what was going on all across the state. Through it all, awareness of the missing three was always with us. It was a grief that didn’t dare declare itself, and an anxiety that became part of the uncertain threatening background. But honestly, the joy and feeling of fellowship among people in struggle, the excitement of important (and yes, dangerous) work, and the wonderment of discovery too (I for one had known nothing at all of black people and their culture first-hand) – these were the uppermost feelings. One focal point of all this was the Democratic presidential convention later that summer of 1964 in Atlantic City. After all the risks taken by the people, a delegation of MFDP went to demand a seat at the table. We intended to trigger the public support by the central national power structure – as a way of weakening and isolating the local defenders of Jim Crow in Mississippi and the rest of the Deep South. And then came a crucial moment of political education – for us in SNCC and CORE, for the African American people, and for everyone watching the Movement. LBJ’s forces, in control of the convention refused to countenance any breaking of ties with the Mississippi regulars. The white racist power structure of the South was a key pillar to how the whole U.S. was ruled – it was key to the functioning of the Democratic Party and had been from the beginning. And acceptance of this most naked white supremacy was normal to how politics – at all levels — worked in America. After much negotiation by liberals in the party, the MFDP was offered a couple of honorary nonvoting seats. The MFDP refused the insulting offer. It may be hard now to reconstruct the sincere hopes and illusions we had for reforms of this system. You have to imagine away many of today’s layers of automatic knowingness and cynicism. We had really thought the Democratic Party would respond in good faith to the clarity of the moral and political demands upon it. Its refusal was one of those experiences that move the thinking of whole swaths of people, and plant the seeds for new conclusions. It began the process of lifting a few veils, tearing at our illusions, and beginning to reveal the ground on which we actually stood. Finally, in early August, six long weeks after their disappearance, someone on the inside of the Klan, tempted by reward money, told the secret. Our brothers were buried deep in an earthen dam. We know now what happened that night when our comrades died. They had gone to talk to supporters in Philadelphia, and were arrested as they left. While they were held in the Neshoba County Jail, the Sheriff, his Deputy and Edgar Ray “Preacher” Killen – the three of them all members of the Klan – brought in Klansmen from the surrounding area to prepare an ambush. The three bodies were driven to a nearby dam construction and covered over by bulldozer. The Klan wanted to break the organized core of the movement. But they failed. As the bodies of the three were lifted out of that dam, the whole watching world could see the ugliness and the murderous structure of white supremacy in America. These killings incited widespread outrage and anger, brought people forward into active struggle or support. I have not written about the summer of ‘64 before, and I don’t do it now in order to memorialize a righteous struggle of yesterday. My purpose and thoughts are much more focused on today – and tomorrow. 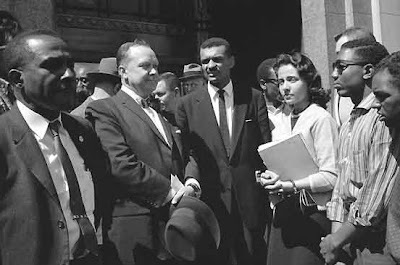 What swept me into the civil rights struggle was in large part the utter moral clarity of what was involved: the clear evil of institutionalized white supremacy, and the courage and nobility represented by the movement which was going directly up against it. Is such clarity possible today? Well….We have a war in Iraq of unrelenting brutality, wrong and illegal from its first inception, now in its fifth year with no real exit in sight no matter who is elected this fall. We have a systematic global program of kidnapping, assassination, secret prisons, torture, indefinite detention without charges or trial – all proclaimed as America’s right, institutionalized over the course of the past seven years and facing no more than tweaks and modifications through the normal processes of politics and government. And we have a vast program of roundups, detentions, and deportations within this country – the burgeoning campaign against undocumented workers, with no resolution or end in sight. Another aspect of 1964: We didn’t know how it would all turn out. This whole movement has been so enshrined and mummified in the telling of history. Retrospectively it has been given the air of inevitability. It was not inevitable. There was no road already there. “The road was made by walking” – and fighting. The course of things was not at all clear then. Strongly-felt debates and struggles shaped strategy and tactics and philosophy raged at each stage of the struggle. These experiences opened many of us to new revolutionary ideas — which were being raised throughout the world at that time. Where Is Our Mississippi Today? Open Letter To Dr. Martin Luther King, Jr.
Mumia Speaks: Marilyn Buck: Presente!